As the largest developing country and provider of South–South Cooperation (SSC), China has been providing foreign assistance to other developing countries to help them solve practical problems, guided by the principles of “equality, win–win, and mutual benefit.” Agriculture, highlighted by its effects on poverty reduction and China’s own development achievements and successful experience, has always been the key area of China’s SSC. Since the establishment of the mechanism of the Forum on China–Africa Cooperation (FOCAC), agricultural technology demonstration centers (ATDCs) have become one of the important models of China’s agricultural aid to African countries. With the first batch of ATDCs entering the stage of sustainable development, how ATDCs should operate to achieve the goal of sustainable development has become an imperative issue for both China’s foreign aid practitioners and policy-makers, and has aroused heated academic discussion both at home and abroad. The ATDC in Mozambique, one of the first batch of ATDCs in Africa, has explored an approach to the scale-up of agricultural technology transfer through introducing private and public investment from Chinese enterprises to the Mozambican agricultural sector. 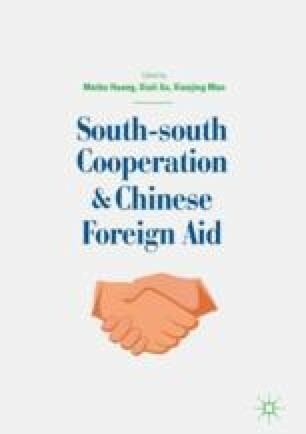 This chapter, based on a long-term field study on the agricultural technology transfer practices carried out by Chinese enterprises in Mozambique, analyzes the practices, impact and problems of the “aid + investment” model of SSC from the local perspective, with the expectation of providing evidence-based analysis and theoretical basis for the improvement of SSC in the future.